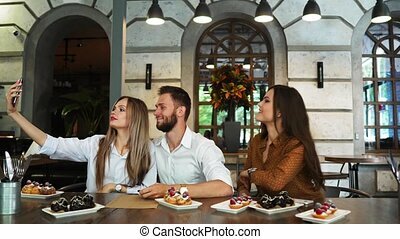 Cheerful multiracial friends taking selfie in pizzeria. 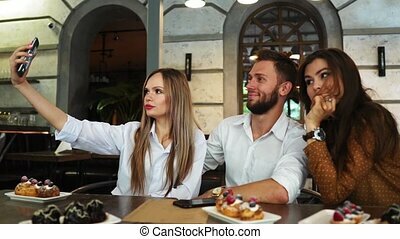 Cheerful multiracial friends taking selfie in pizzeria. 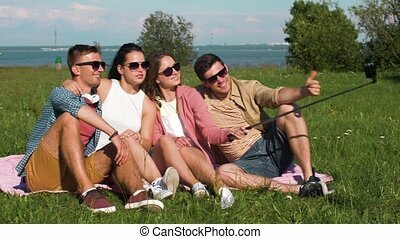 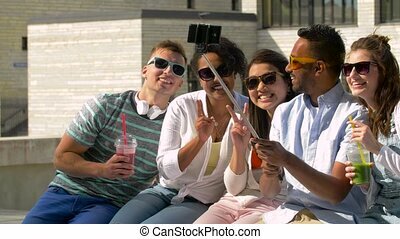 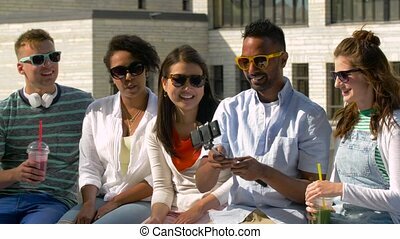 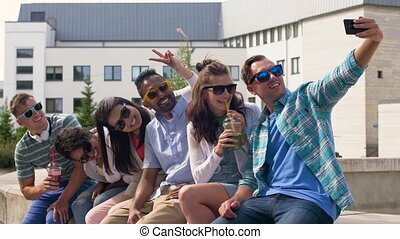 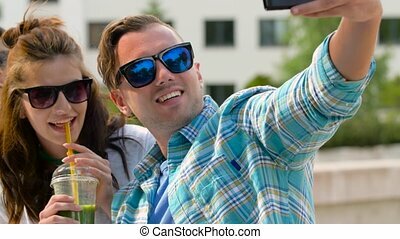 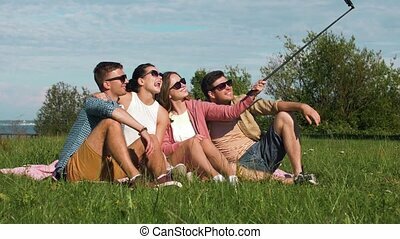 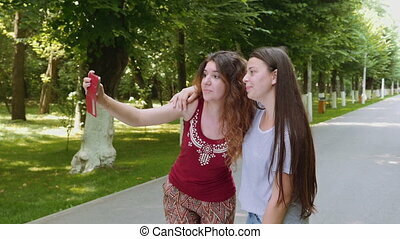 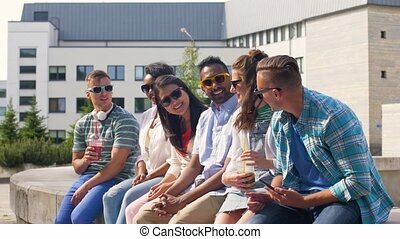 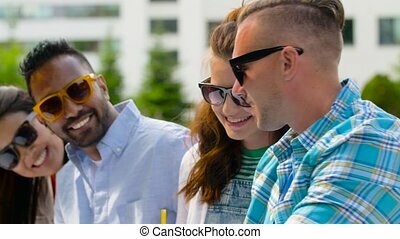 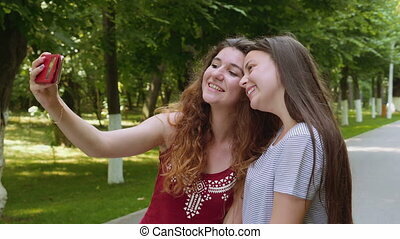 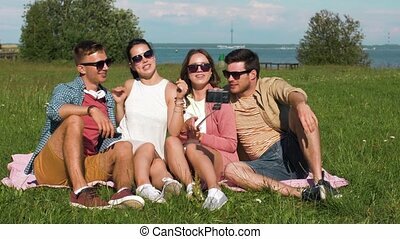 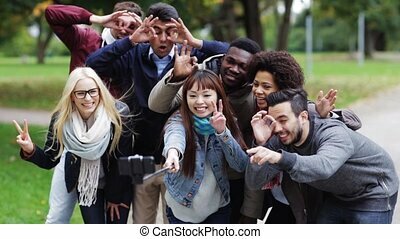 Cheerful friends multiracial group are taking selfie wearing trendy sunglasses and hugging standing in park. 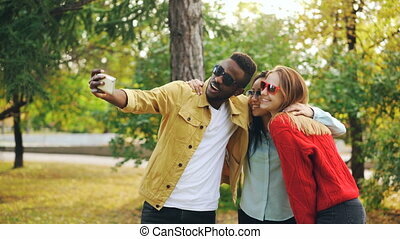 Handsome African American man is holding smartphone. 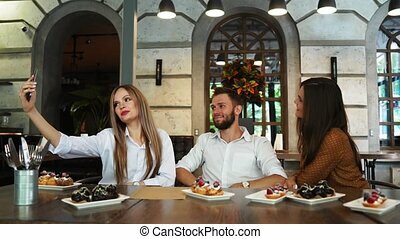 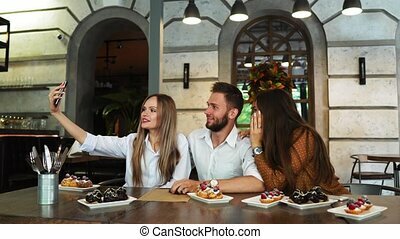 Young woman taking selfie with friends in restaurant. 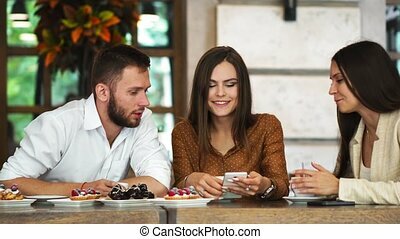 Young smiling woman in blue t-shirt standing in shopping center using smartphone, browsing, reading news, chatting with friends. 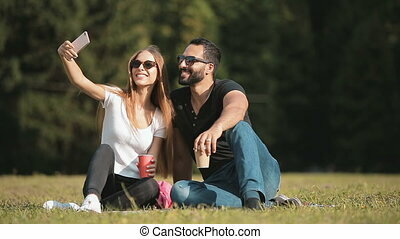 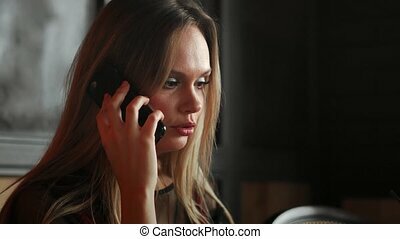 Young smiling hipster girl talking with friend via video call via laptop computer while sitting in coffee shop. 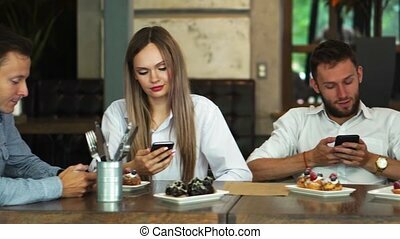 Cheerful female manager having webinar via portable notebook during resting time in cafe. 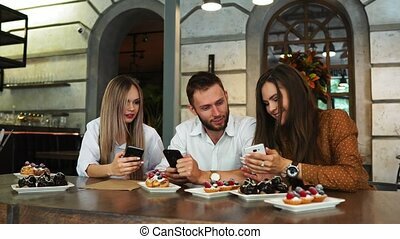 Happy colleagues from work socializing in restaurant and eating together.